What Are Your Chances of Dropping Dead in Your 40s? 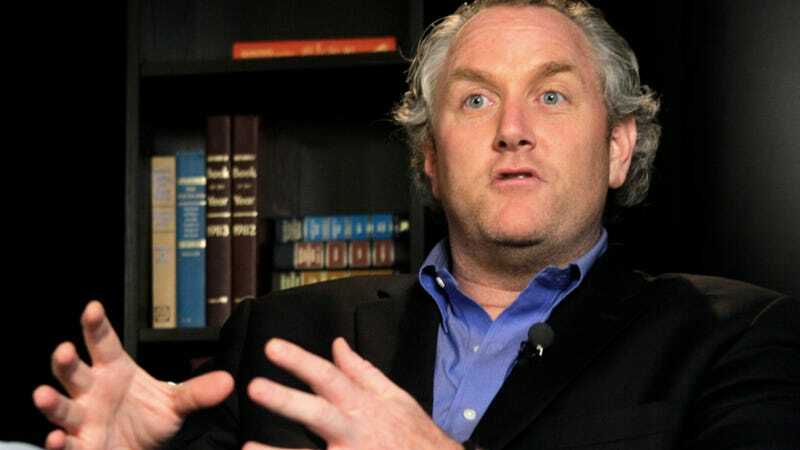 Today Andrew Breitbart suddenly died. Just yesterday, to everyone who knew anything about the blustery blogger, he was a vital source of energy and information. That makes it all the more shocking to find out that shortly after midnight this morning, he collapsed onto a sidewalk and never got back up again. As much as we might disagree with his politics, we're saddened when anyone passes away so young (O.K. maybe not everyone is). Inevitably, we also feel our own mortality. Breitbart was only 43! If like me you're also in your 40s, you're probably wondering what the chances are that the same thing could happen to you. So I dug up some numbers to hopefully ease our 40-something minds. Carnegie Mellon University has created a fascinating (if morbid) website called Death Risk Ratings that tells you your likelihood of dying in the next year. They collected their numbers from the CDC's publicly accessible mortality rate database. For our purposes, I've created two tables that include only the causes of death that could lead to sudden death for people in the United States between the ages of 40 and 49. But if you happen to not be in your 40s, the Death Risk site makes it easy to drill down by age, gender, race, and according to various locations in the United States and Europe to find out more about the chances your life will end in the next 365 days.